Carrot, Orange, Ginger, Lemon Juice. 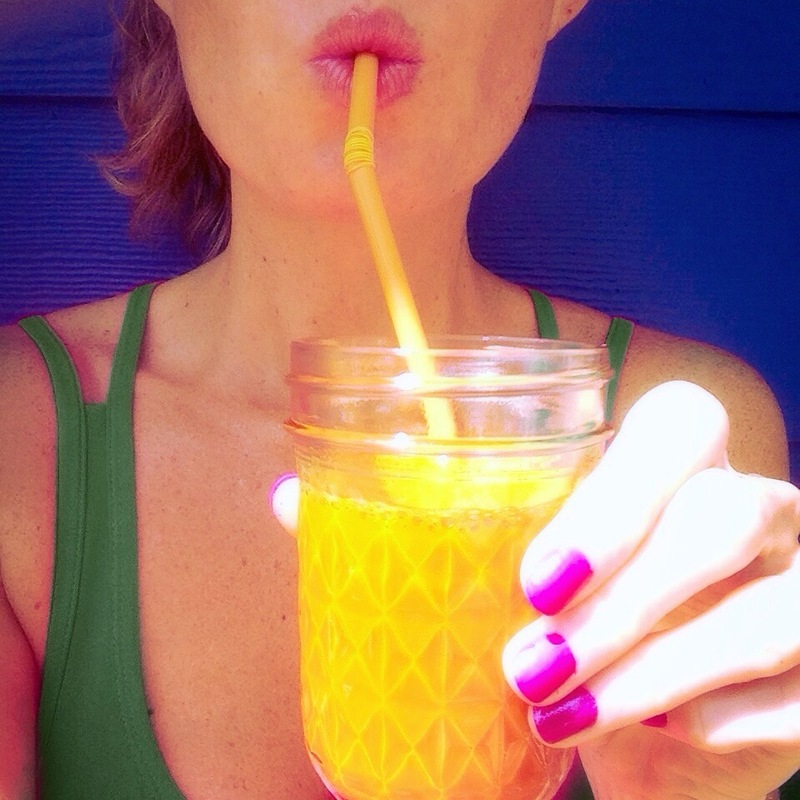 Great boost for immunity and I drink it a lot when Im pregnant because pregos require more VitaminA! Energy on the fly! 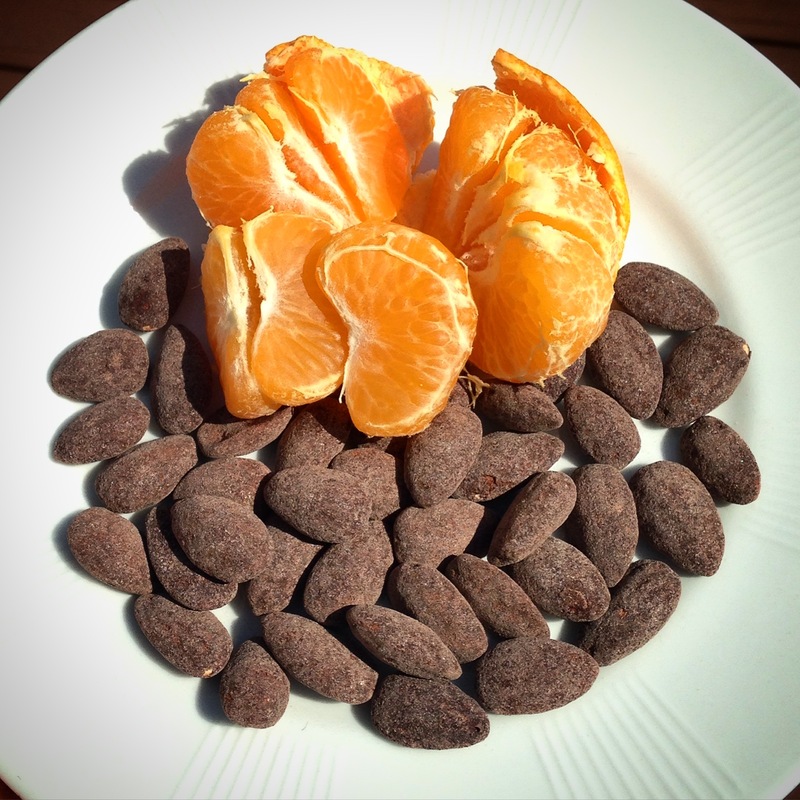 The clementine is full of #energizing #vitaminC and will digest quickly to make me feel alert right now. But that energy will only last me 30min so that’s why the Blue Diamond #darkchocolatealmonds are so important bc they will give me a boost that lasts for hours! Not only are these two foods a lovely nutritional pairing for lasting, natural energy, they taste delicious together too. 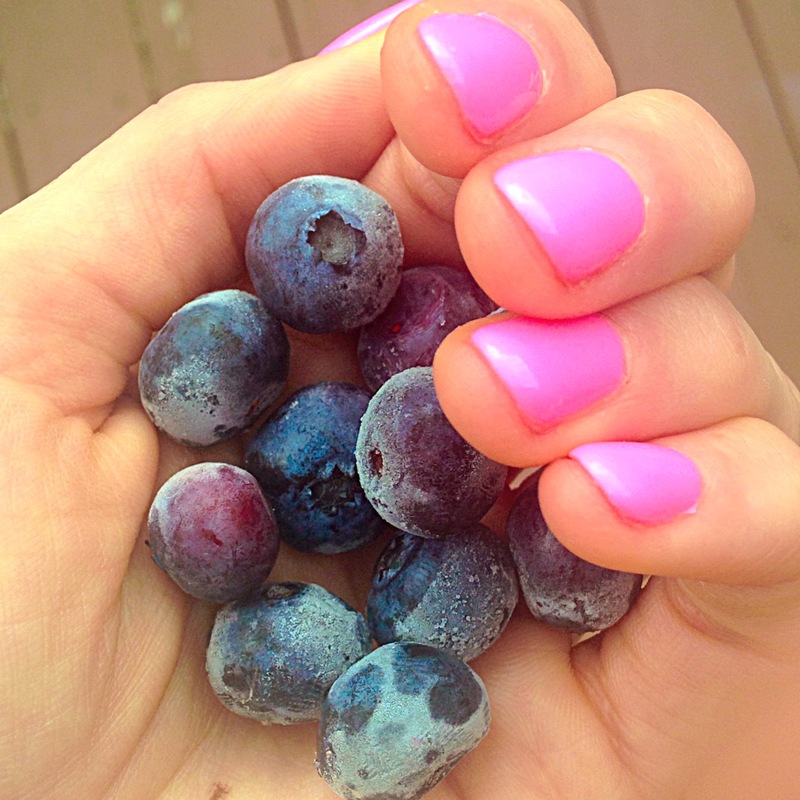 And that’s what I love: healthy foods that taste rich and satisfyingly good. On the Go Tip: Package up the almonds and throw the clementine in your purse for a snack you can carry with you and go for any time throughout the day. Slightly salted nuts to cure my dehydration related headaches during the summer months. 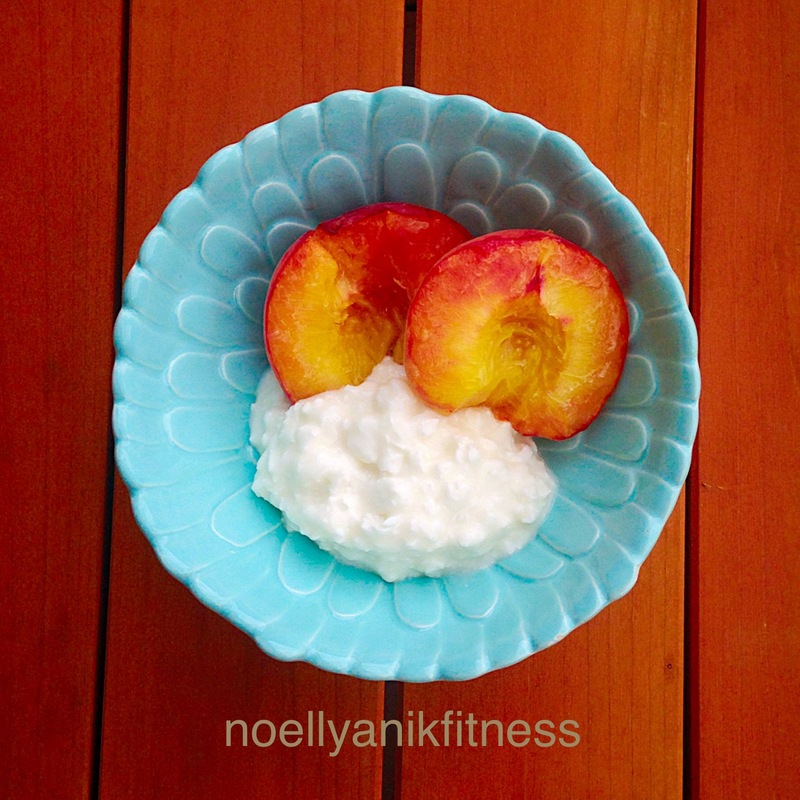 Summer Peach & Cottage Cheese, perfect post workout recovery snack. Got the munchies at night? 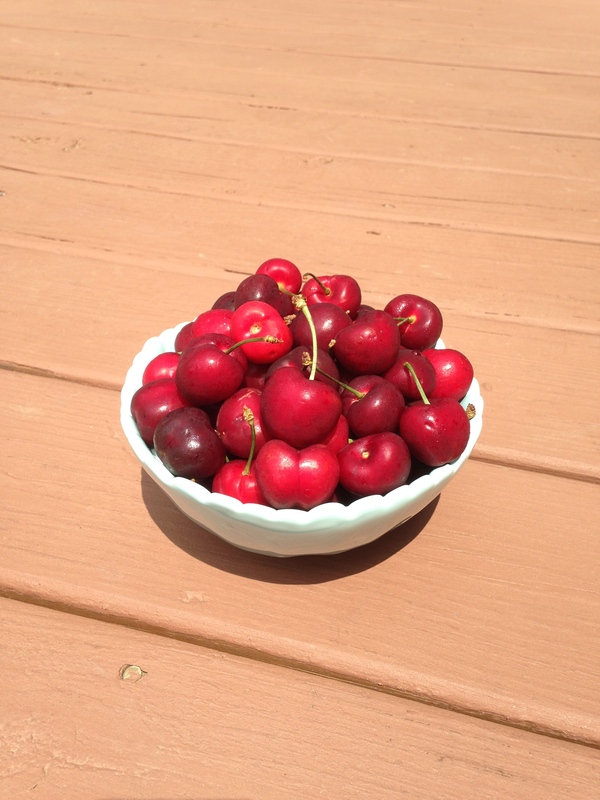 Snack on cherries. They have naturally occurring melatonin so they won’t mess with your sleep cycle, instead they may help you sleep better. 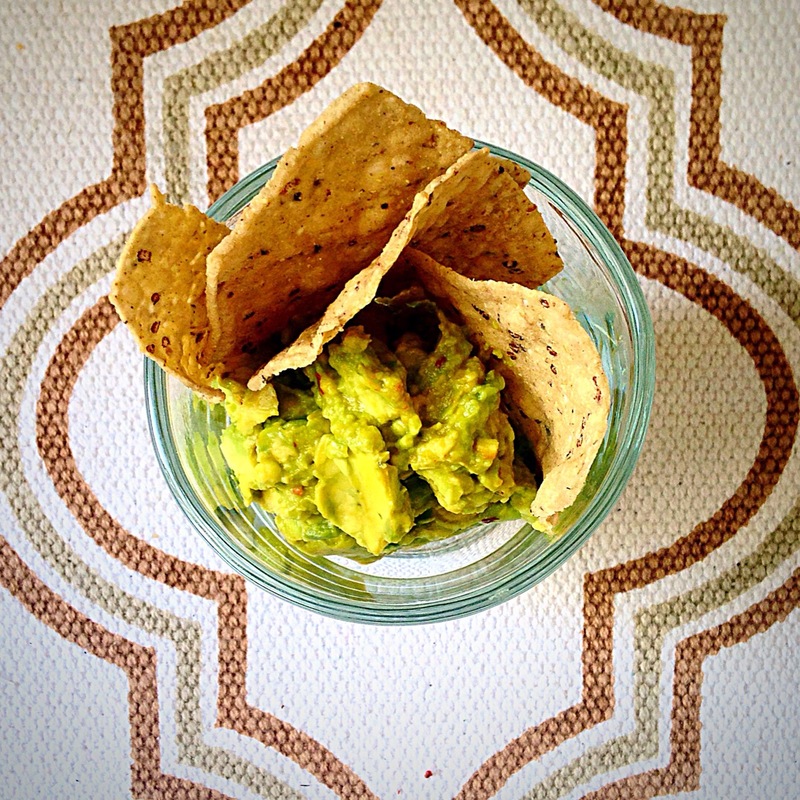 One of my all time favorites; Flax Seed Chips and Guacamole. 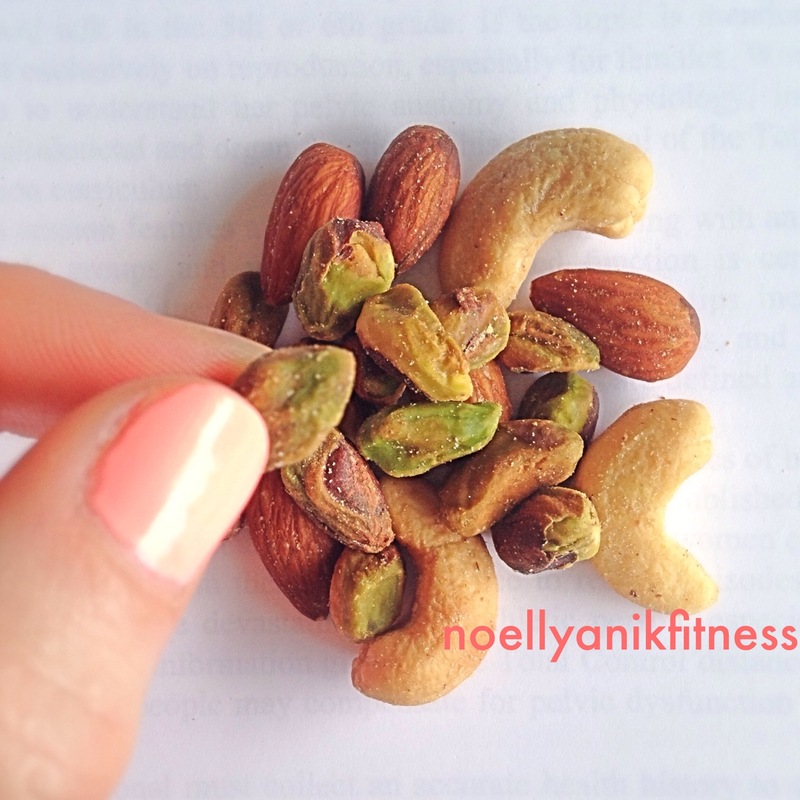 Use 1/4 avocado to get your brain boosting, healthy fat in today! 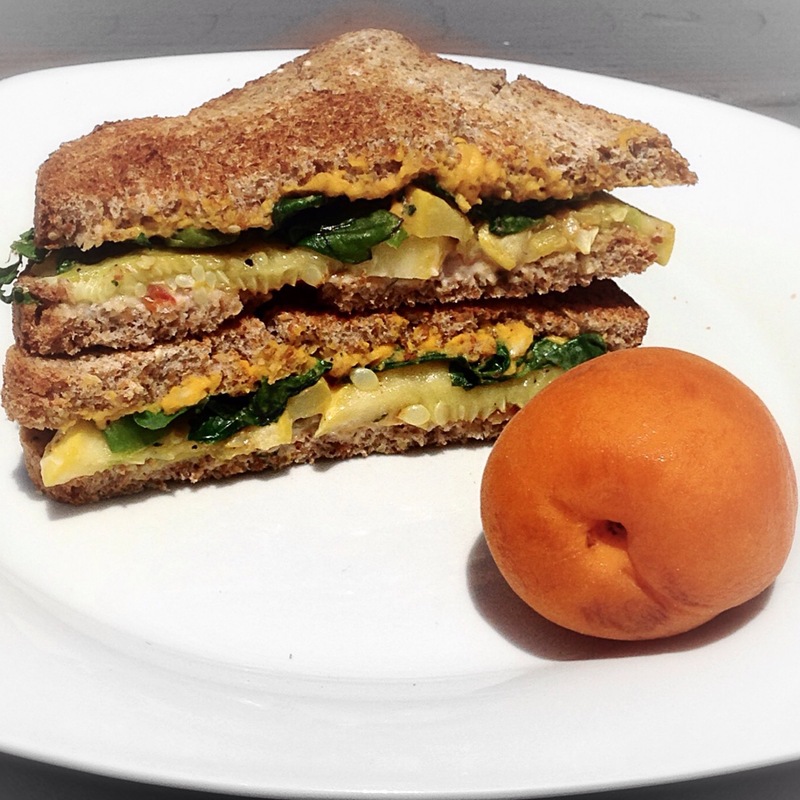 Ezekiel bread with spicy carrot humus, grilled squash, spinach and hot pepper relish with a fresh apricot on the side. Mmmm, filling and delicious!